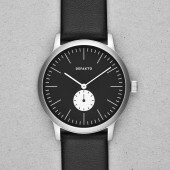 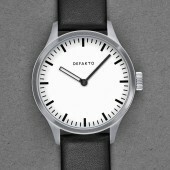 All of the cowhide leather straps accompanying our watches are handcrafted for Defakto in Bavaria, Germany. 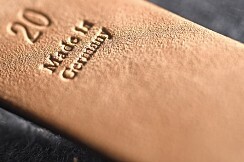 Only high-quality cowhide leather of European origin is used. Each strap comes with a minimalistic Defakto buckle with an engraved logo. 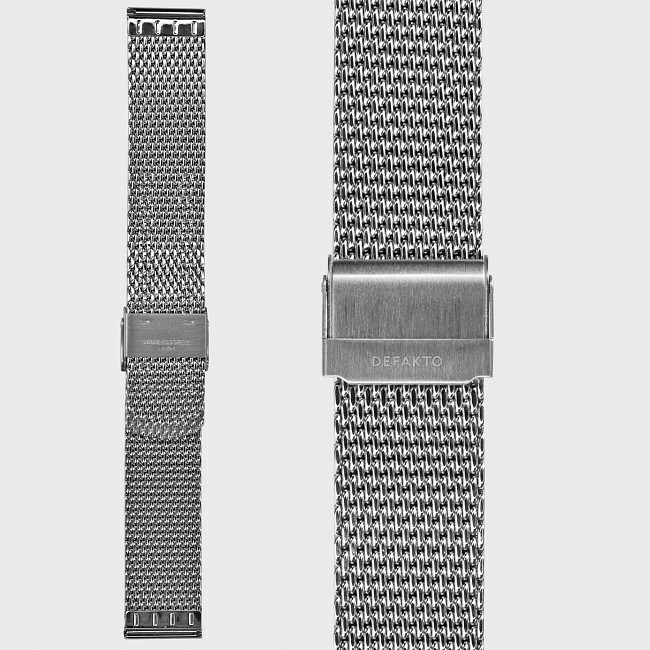 If additional straps are ordered with a watch or separately, two spring bars will be added for assembly. 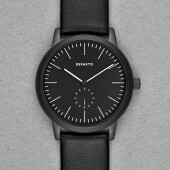 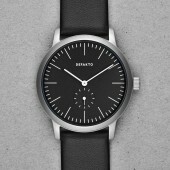 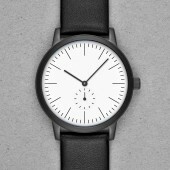 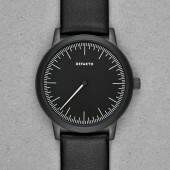 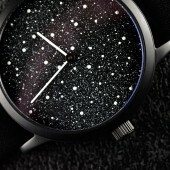 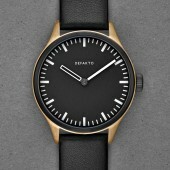 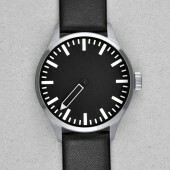 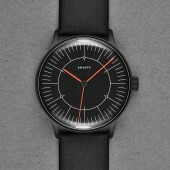 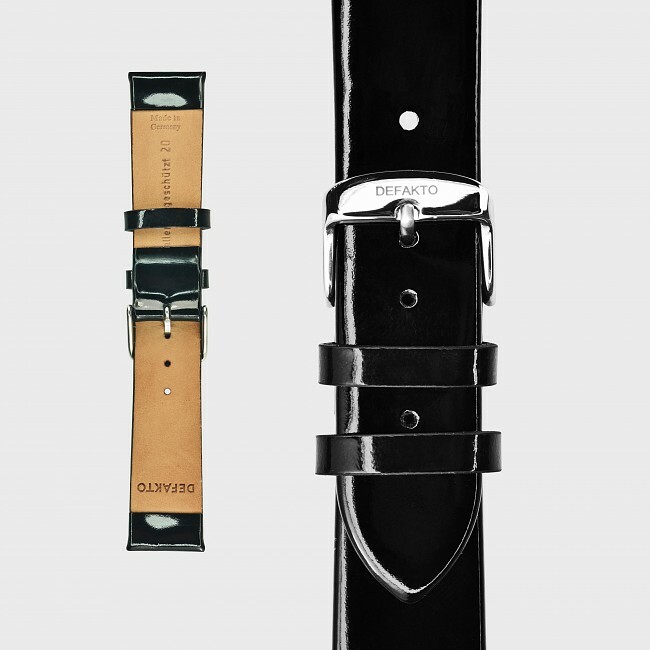 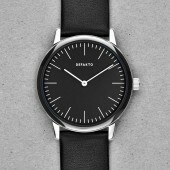 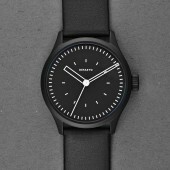 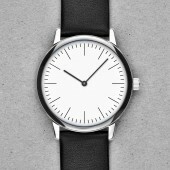 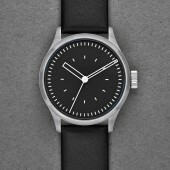 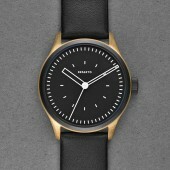 As standard, every Defakto watch comes with the minimalistic, seamless cowhide strap in black. All surface processing of the stainless steel parts is performed in-house. 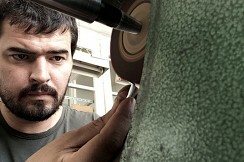 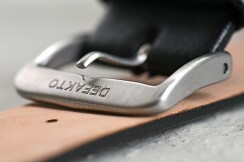 The laser engraving on the clasps and bracelets is also performed at the Defakto Manufaktur. 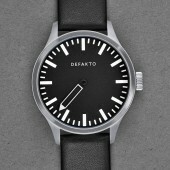 All Defakto leather straps are stamped on the back with the Defakto logo. 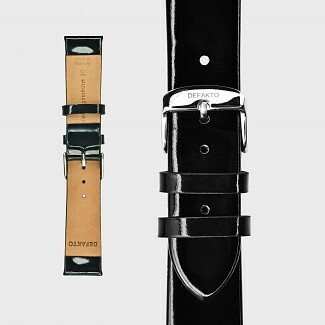 All Defakto leather straps are designed for medium-sized to larger wrist dimensions, from 17 cm to 21.5 cm. The Defakto lack strap is suitable for smaller to medium arm circumferences ranging from 14.5 to 19 cm. 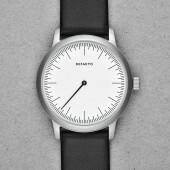 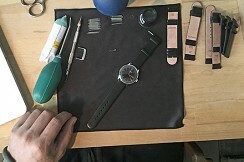 To adjust the strap to smaller wrists, an additional perforation can be added easily. 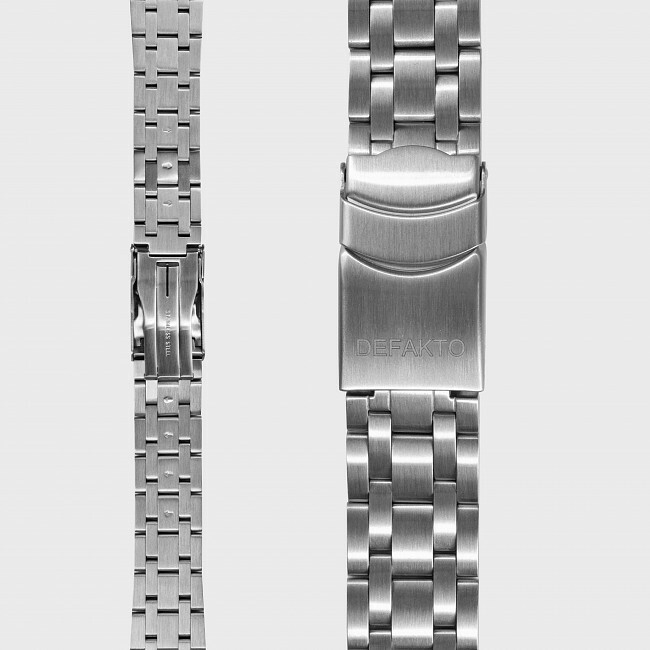 To fit oversize wrists, we recommend the individually adjustable Defakto bracelets of non-animal origin presented below. 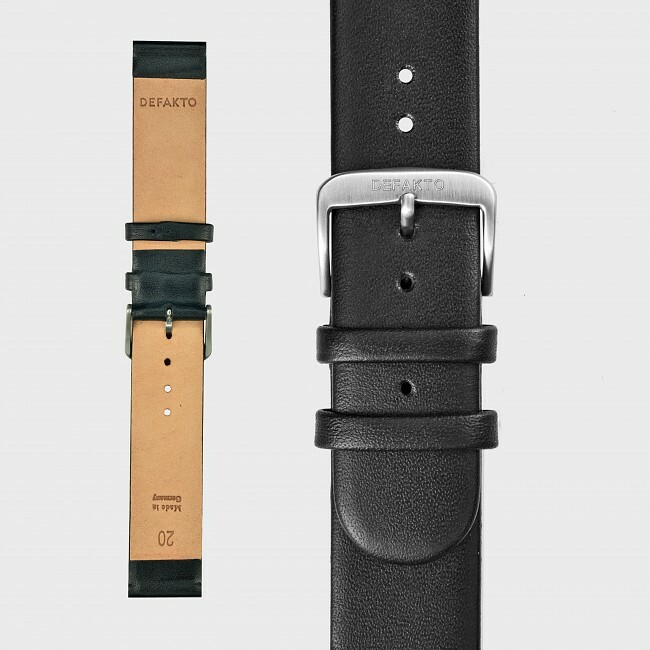 The individually adjustable, high-quality Defakto Kautschuk bracelet is made of 100% natural rubber and offers the light vanillin-esque aroma typical of this material. 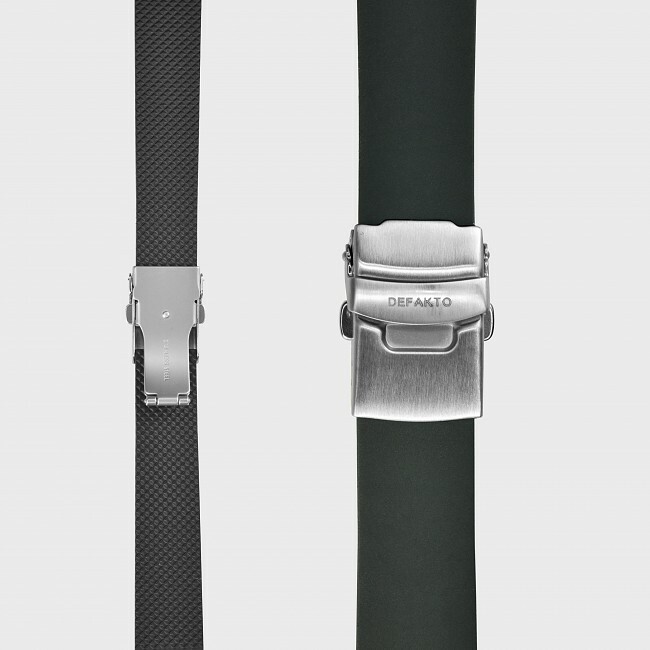 The strap comes with a brushed and engraved folding clasp and adapts perfectly to your body temperature. 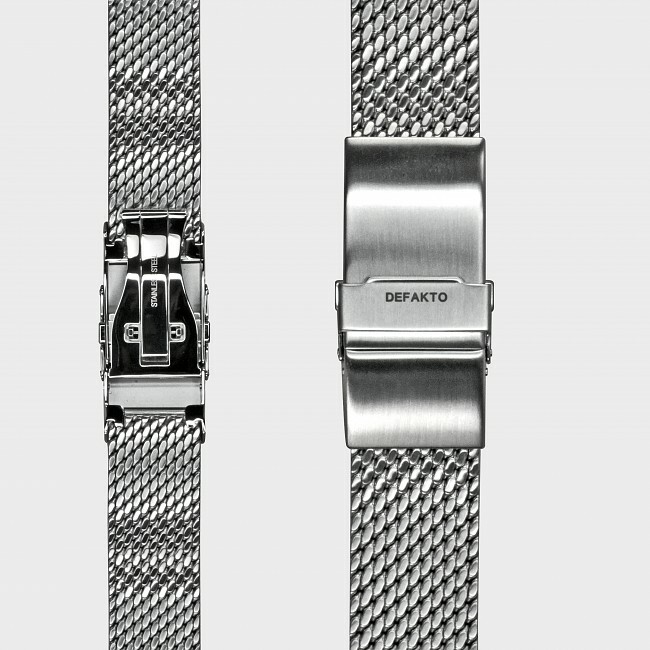 Defakto also offers German-made high-quality, strengthened, and infinitely-adjustable Perlon straps as a one-piece pull-through belt or as a two-piece spring bar variant. 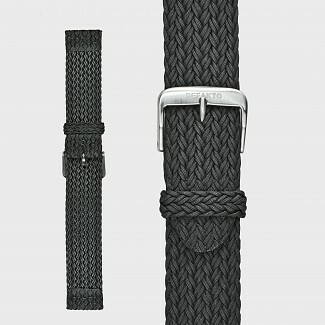 The Defakto NATO strap is suitable for arm circumferences ranging from 17 to 23.5 cm. This strap is made of Nylon and is offered in a firm, tight-knit style. 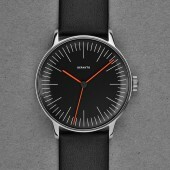 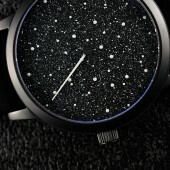 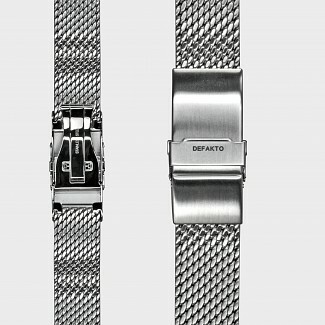 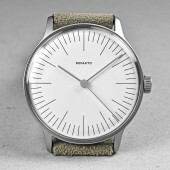 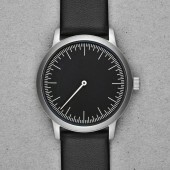 The individually adjustable Defakto stainless steel bracelets are available in two versions: In a roughly segmented, brushed version with folding clasp suitable for all Defakto Kinetik, Akkord and Eins watches, and as a finely segmented, polished Milanese bracelet with brushed clasp – this variant is suitable for all models of the Defakto watch collection. Adjustable straps or bracelets are sent in a default setting for individual customization. 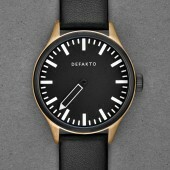 If you have any questions regarding their installation, please contact Defakto or your local trusted watchmaker.